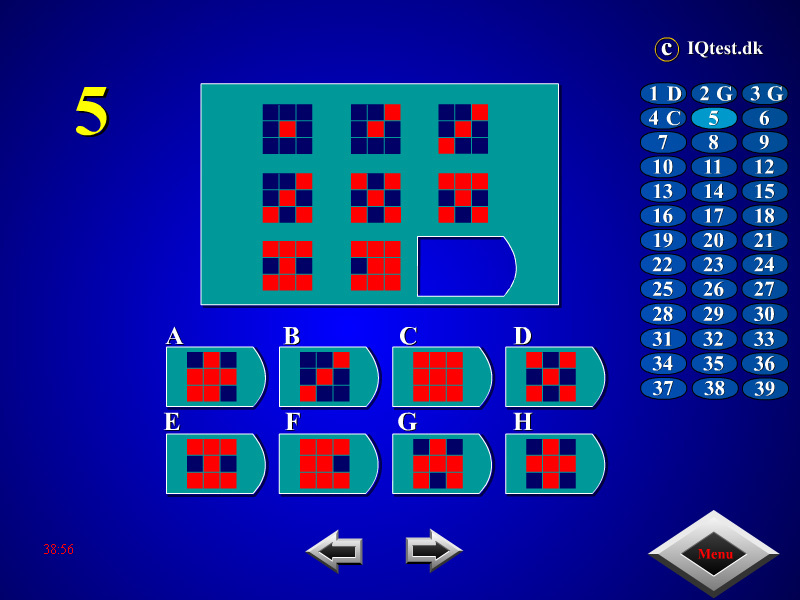 "IQ Test" is a free online intelligence quotient test to find the correct figures on the diagrams for 40 minutes. 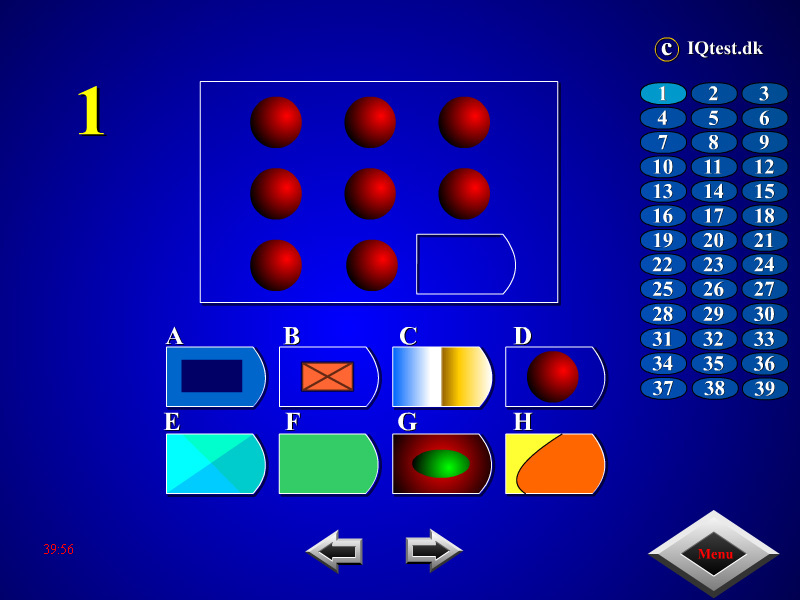 Solve 39 questions IQ test online. Fun logic learning. Arrange all sides by same color to win. How to play IQ Test. You will see a pattern of shapes with a missing piece. Point and click on the piece that would complete the pattern in some logical way. You have 40 minutes to do 39 questions. An intelligence quotient (IQ) is a total score derived from several standardized tests designed to assess human intelligence. The abbreviation "IQ" was coined by the psychologist William Stern for the German term Intelligenzquotient, his term for a scoring method for intelligence tests at University of Breslau he advocated in a 1912 book. Historically, IQ is a score obtained by dividing a person's mental age score, obtained by administering an intelligence test, by the person's chronological age, both expressed in terms of years and months. The resulting fraction is multiplied by 100 to obtain the IQ score. When current IQ tests were developed, the median raw score of the norming sample is defined as IQ 100 and scores each standard deviation (SD) up or down are defined as 15 IQ points greater or less, although this was not always so historically. By this definition, approximately two-thirds of the population scores are between IQ 85 and IQ 115. About 2.5 percent of the population scores above 130, and 2.5 percent below 70. Labels: Tests , Logic Tests , Brain Games , IQ Games , Education Games , Free Online Games.